The road became slick as the snow froze and accumulated on the asphalt. The snow came down at a feverish pace pelting the windshield as the headlights bright light reflected off the white snow back into the cabin. What was once luminous red lights in the distance of the vehicle ahead of us had now become a faint blur of crimson despite only being a few yards away. Visibility had become almost non-existent. The thought of pulling over came across my mind as the vehicle was loaded with precious cargo of my wife, mother-in-law, and newborn son. But the outside temperature of sub 30 degrees had me think otherwise as we continued on the 15 freeway towards Utah. 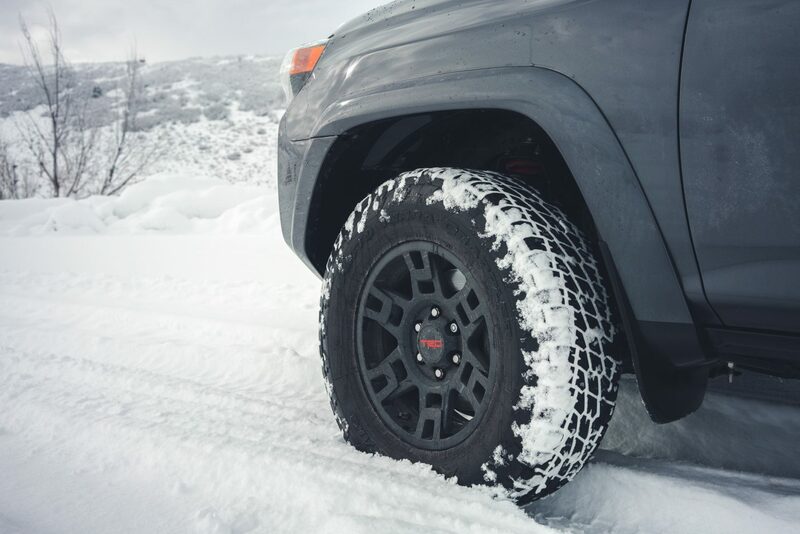 Despite these tumultuous conditions the Toyota TRD PRO 4Runner instilled confidence behind the wheel as the 4-wheel drive coupled with Nitto Terra Grapplers hugged the road as moved through the valley and past the storm. 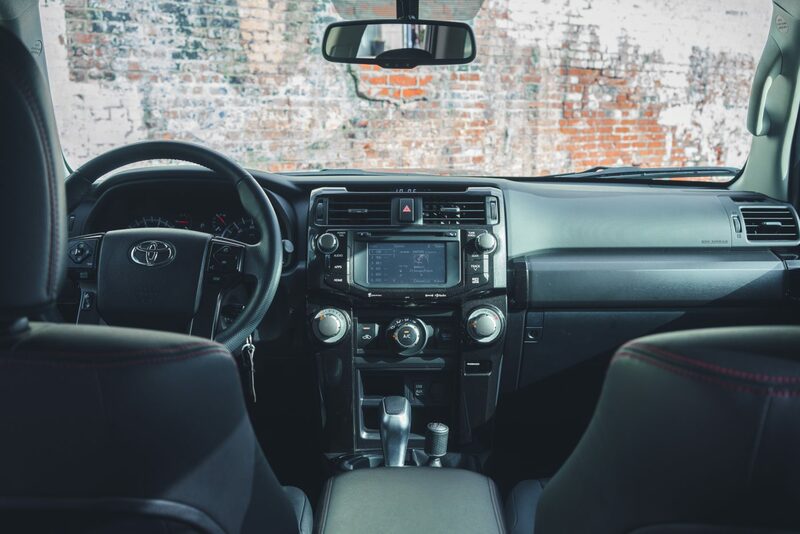 A few days earlier I had received the 4Runner and gazed at its boxy and muscular stature as the kid in me became anxious to get behind the wheel. 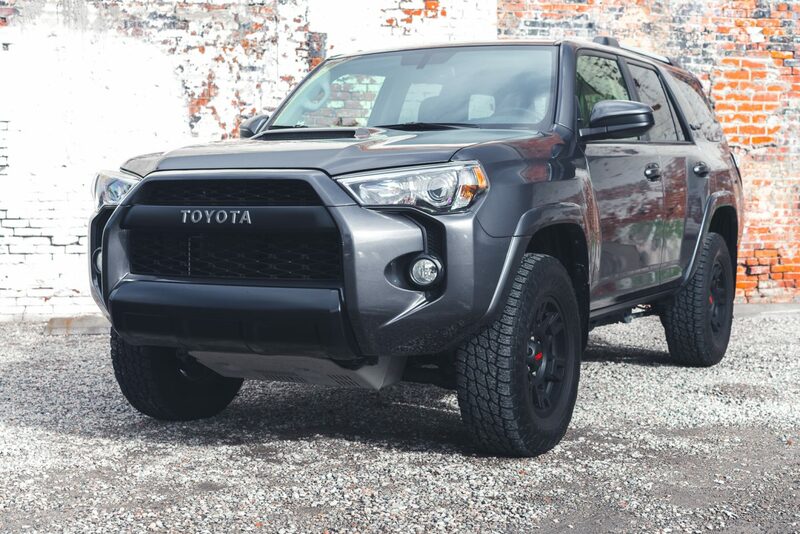 The vehicle sits high with its TRD Bilstein shocks and large tires wrapped around the 17-inch matte black TRD wheels. I was instantly sold on the Magnetic Gray Metallic paint and tinted headlights and tail lights. 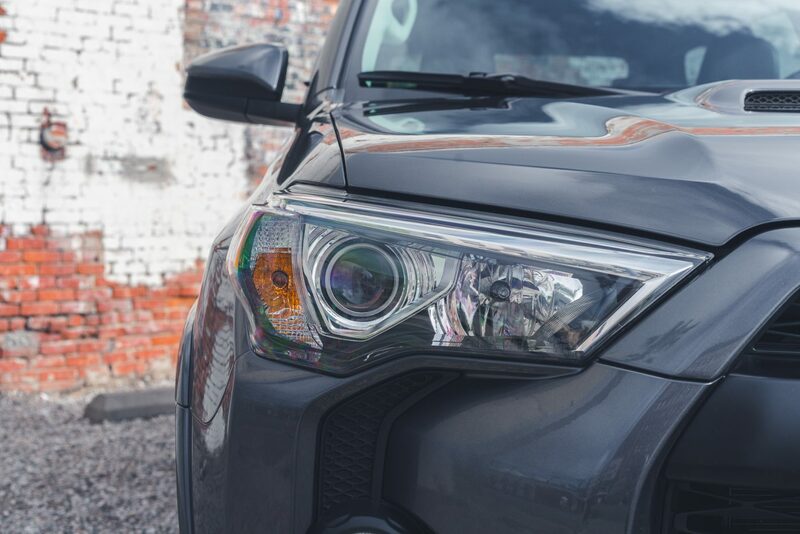 The TRD PRO also comes equipped with a blacked out Toyota front grill and TRD badging adding to the sporty demeanor of the SUV. 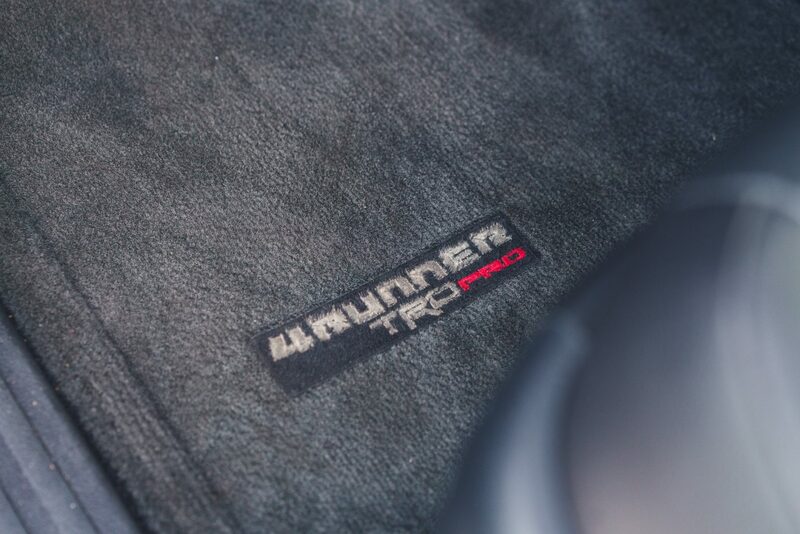 Additional TRD accessories include a shift knob and “TRD PRO” floor mats. Destination Park City, Utah. After receiving the vehicle it was time to check the cargo capacity. 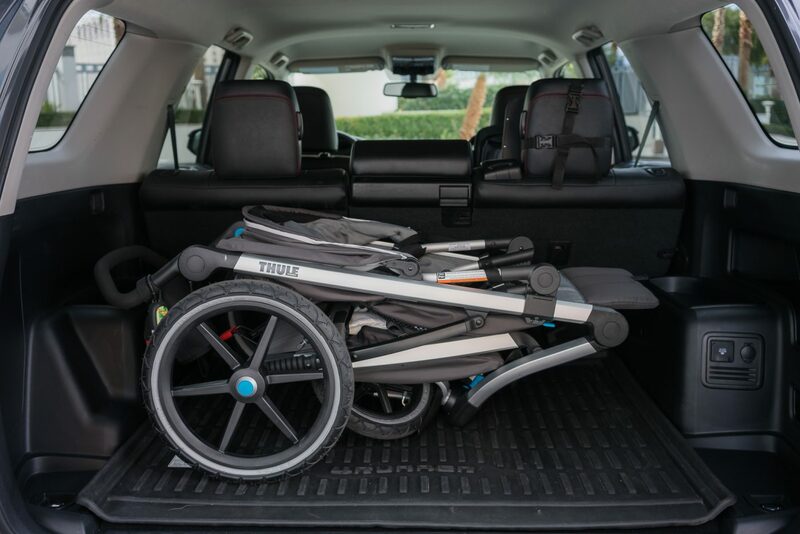 The trunk is spacious and fit an ample amount of luggage along with a stroller and other baby necessities. 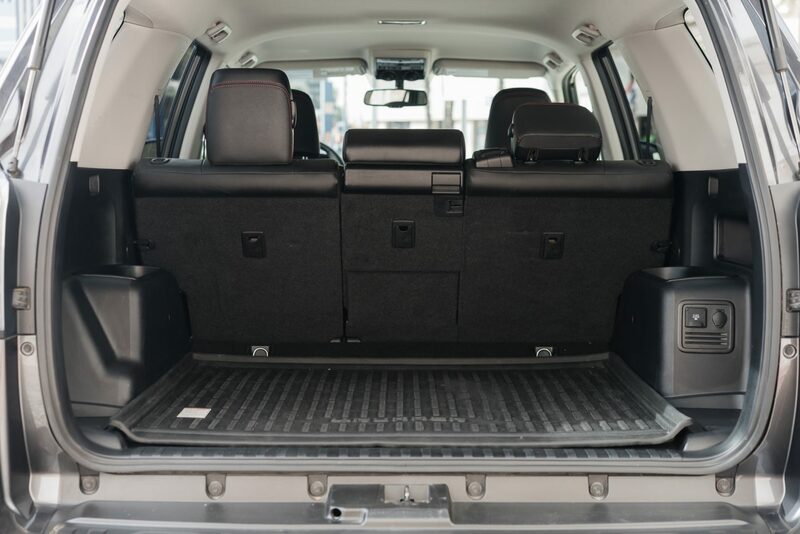 The trunk’s floor liner is heavy duty and made to withstand a bit of abuse along with provide protection from the elements. With a packed car of 4 people loaded with a week’s worth of snow gear, clothing, and diapers we had the need for even more storage space. 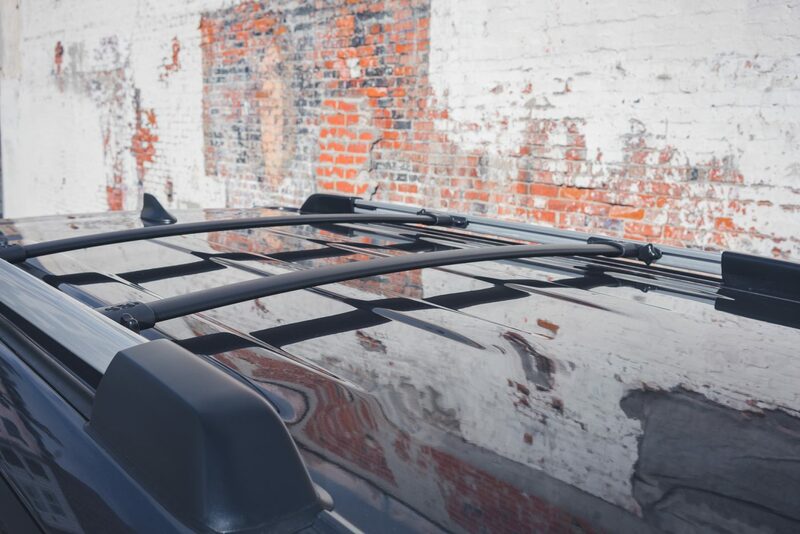 The TRD PRO is equipped for roof rails and crossbars making it easy to install a roof top carrier. Thule equipped us with a Force Alpine XL Cargo Carrier, which was simple to install taking about 15 mins. The space was abundant and fit my Burton Wheelie bag that held two snowboards, snow gear, and a pair of boots. For the rest of the snow gear along with my helmet we fit that alongside the snowboard bag within a duffel with plenty of room to spare. 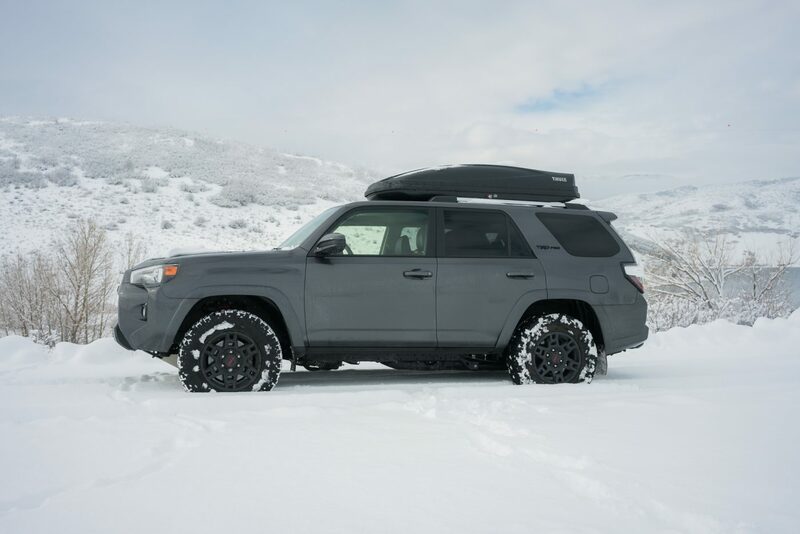 The height of the SUV made it tricky to load as there are no running boards on the TRD PRO as well as I had to be cognizant of the height clearance while parking in structures. 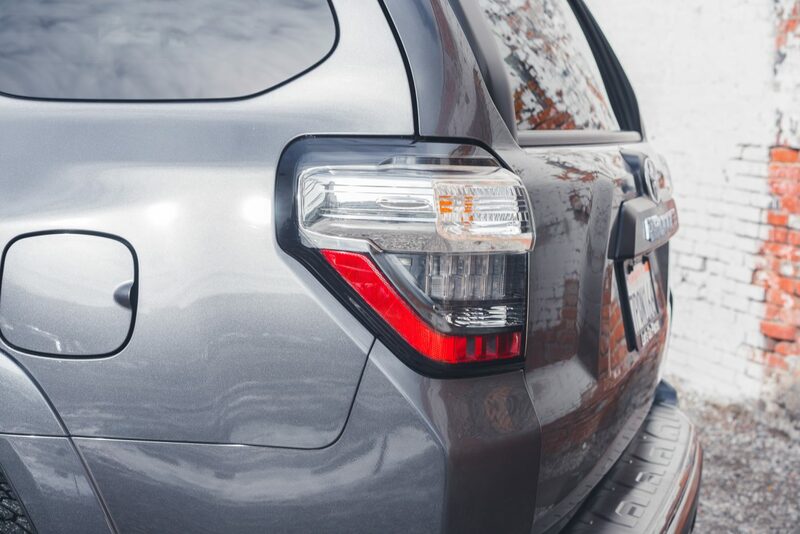 The family in tow and on the road the 4Runner felt smooth through the city streets and on the freeway. The vehicle accelerated with ease thanks to the 4.0L 24-Valve V6. There was a little body roll on tight turns, but could be expected from the large size of the vehicle coupled with soft suspension. The cabin was comfortable and spacious. 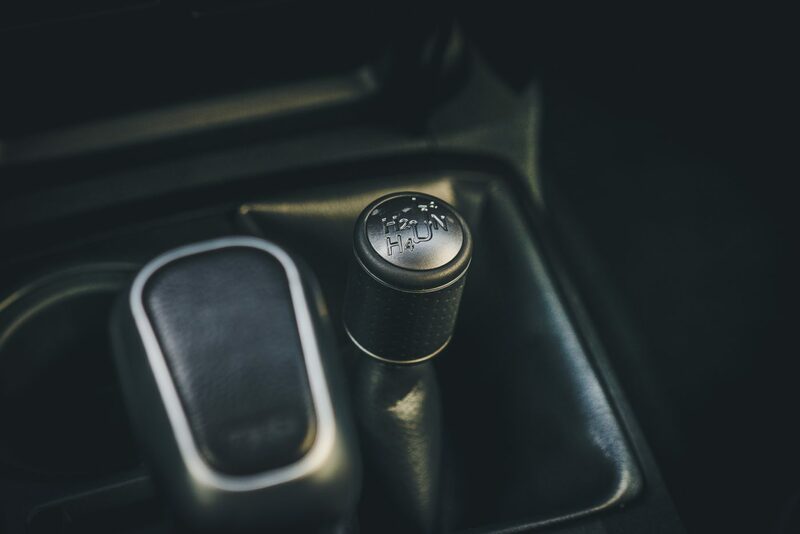 The seats ergonomic and adjustable providing the right support for several consecutive hours behind the wheel. 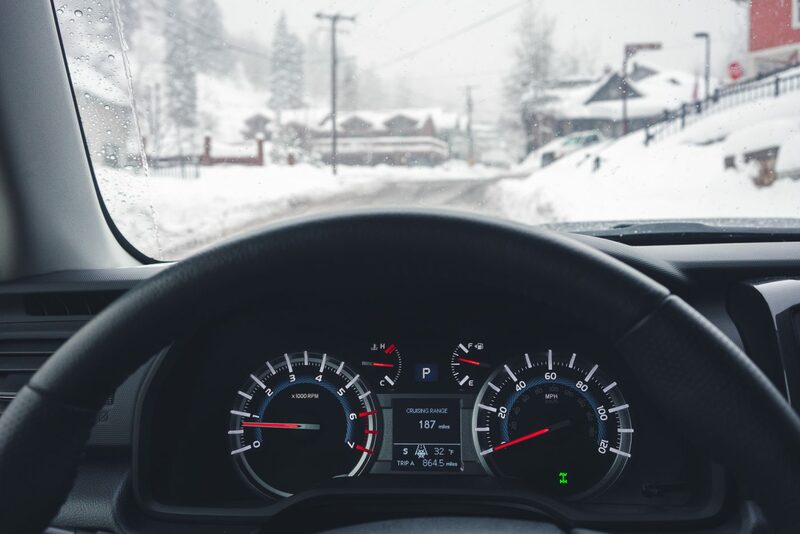 The SofTex (synthetic leather seat material designed for wear, easy cleaning and resisting spills) front seats were heated, which proved extremely valuable in the frigid temperatures of Winter in Utah. The red contrast stitch found throughout the interior gave a nice touch of style. As expected everything felt solid from the weight of the doors to the beefy perforated leather steering wheel. The interior left a little to be desired, but I found the lack of a push button start a bit dated. The 6.1″ touch screen also seemed small in comparison with the large dashboard area – more iPhone than iPad. The temperature control knobs were a nice size and easy to use even with gloves. 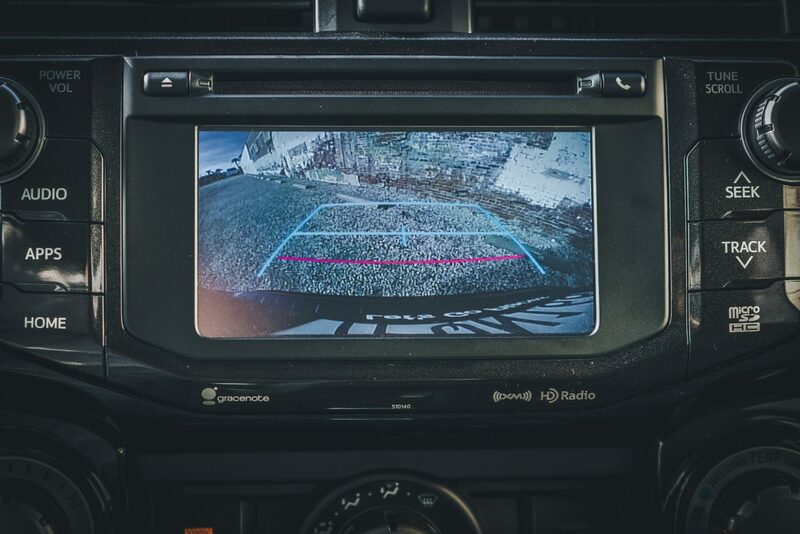 The back-up camera worked well to park the full-size SUV. 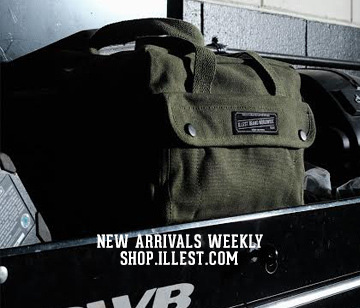 The interior storage space is aplenty with a large center console bin, door pockets, and a nice size glove box. The drive to Vegas from Los Angeles has become all too familiar through Victorville, Barstow, Baker, and the stretch at Primm. If you’re lucky it takes less than 4 hours and in our case with a newborn it took slightly longer for the more frequent pit stop. Leaving Long Beach, CA with a full tank we made it to Primm with gas to spare, but filled up just in case as the 4Runner averages about 18 miles to gallon combined city and highway. After a quick stint in Vegas for the CES tradeshow the journey continued to Utah. The drive past the desert opens up a picturesque landscape of red rock and lush scenery. 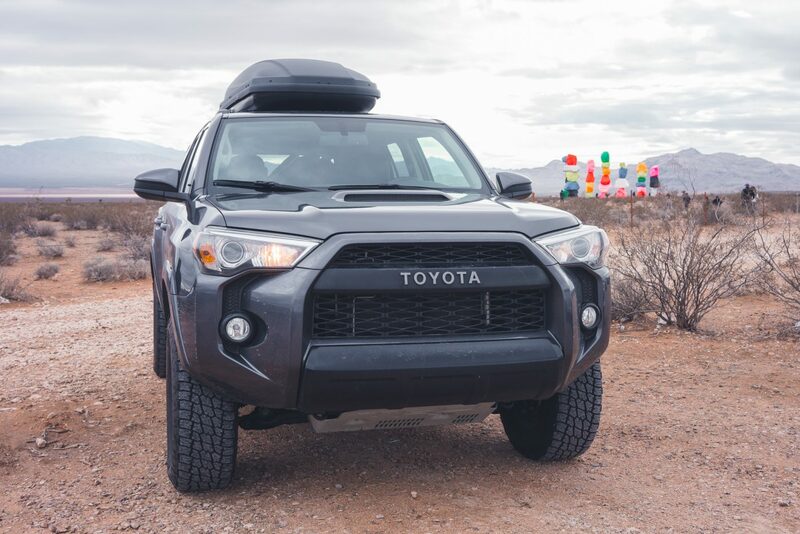 A quick detour took us on an off-highway overland adventure to test the capabilities and use the vehicle in a way it was intended as the soft suspension adjusted accordingly for the terrain. The detour took us into the later part of the afternoon as we continued on our trip. This is where the story began as the sun set into dark and the weather dramatically changed. 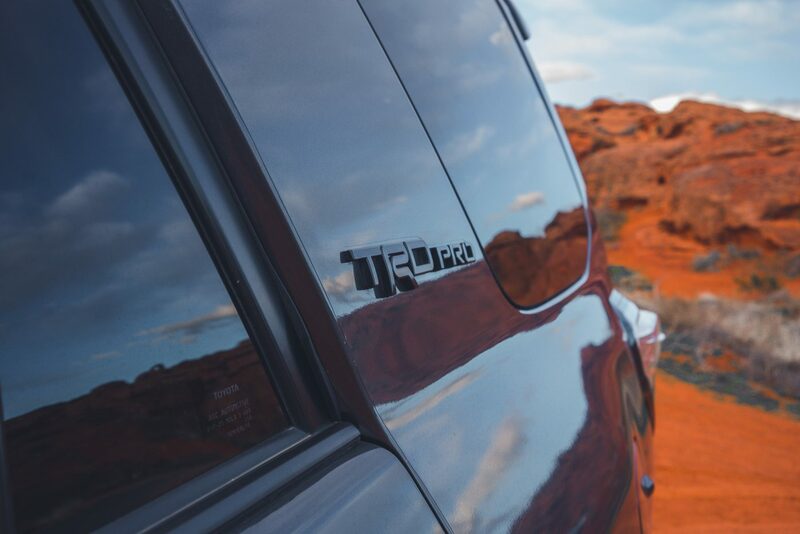 The 4Runner excelled in creating peace of mind. 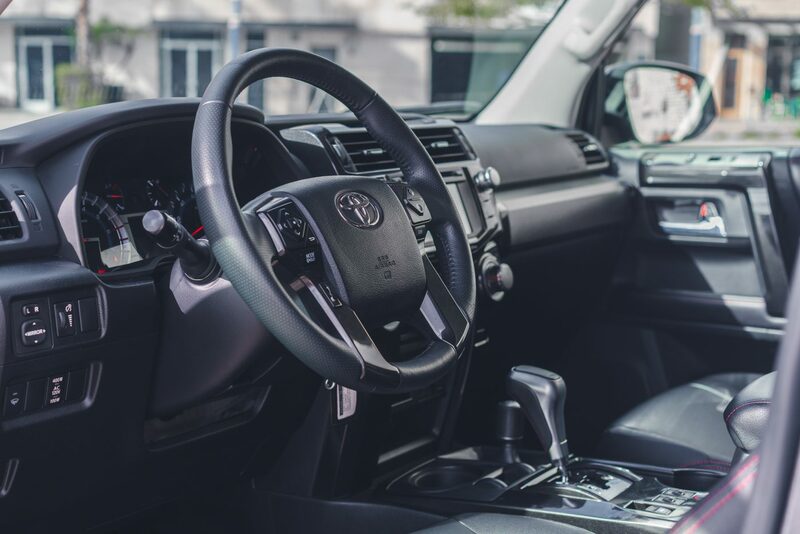 The vehicle is stocked with safety features from stability control, traction control, anti-lock brakes, brake assist and smart stop technology along with several airbags. Once in Park City we were greeted to a couple days of non-stop snow. 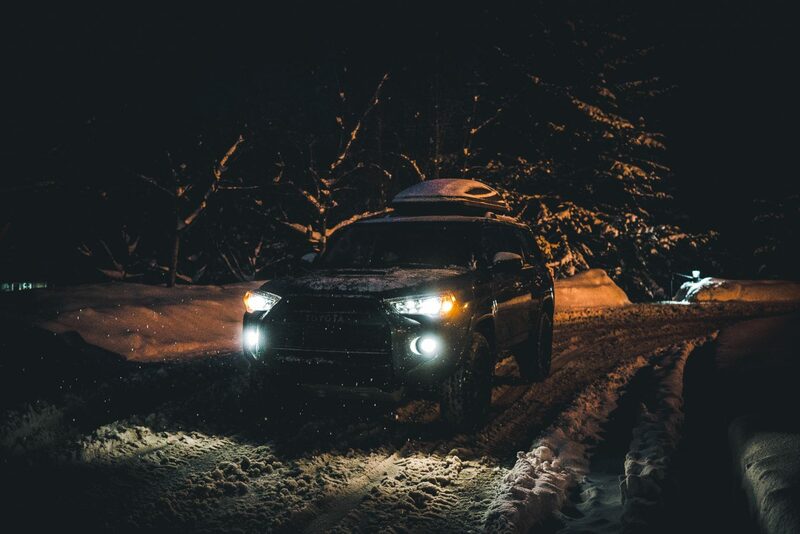 The snow covered the roads and overnight placed 6 inches on the SUV creating the perfect conditions to put the 4-wheel drive to the test. 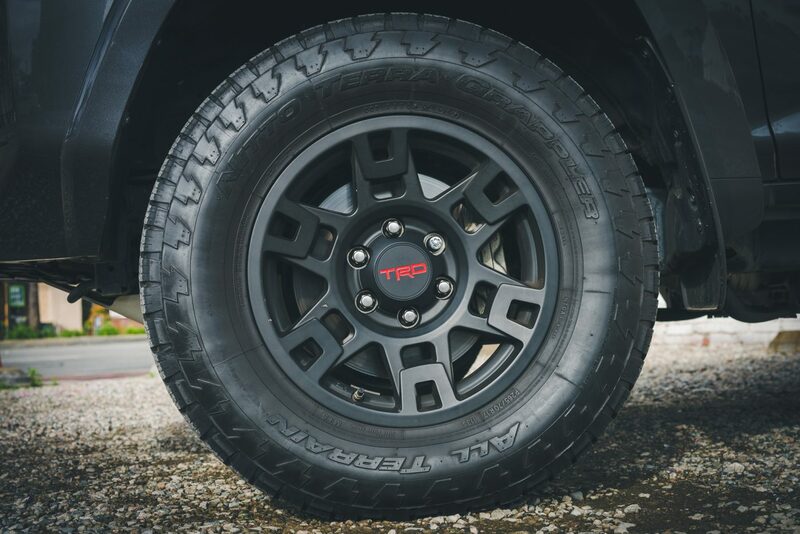 The TRD PRO is equipped with a standard locking rear differential, crawl control, and a multi-terrain select system. Driving felt solid and smooth through the slushy and wet roads. 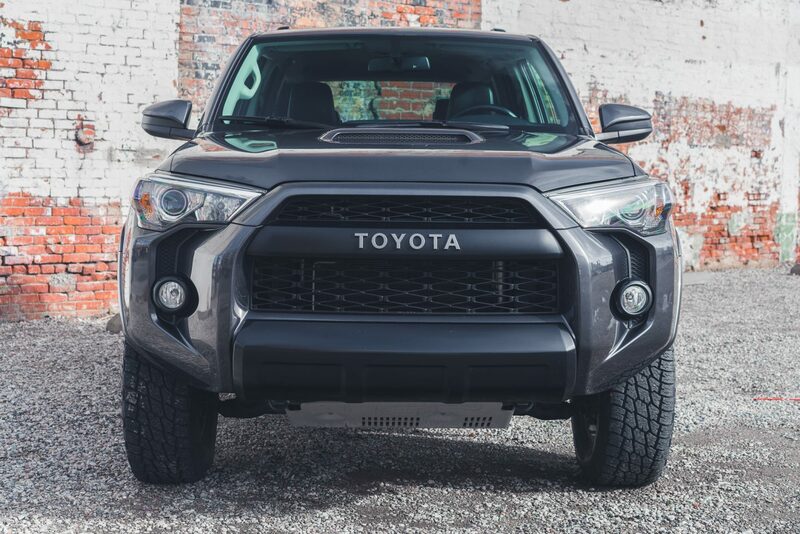 The 4Runner has always held a special place in my heart. 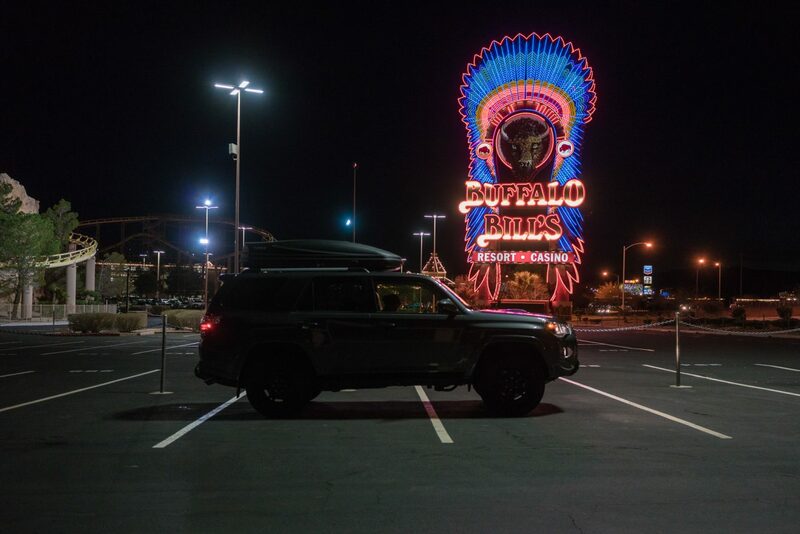 A little backstory, around 1998 and as a teenager I saw a Jaos-equipped 4Runner on the show floor at Del Mar Raceway during an Import Showoff car show. In a convention hall full of lowered, brightly painted, and customized cars, the SUV is what caught my attention. 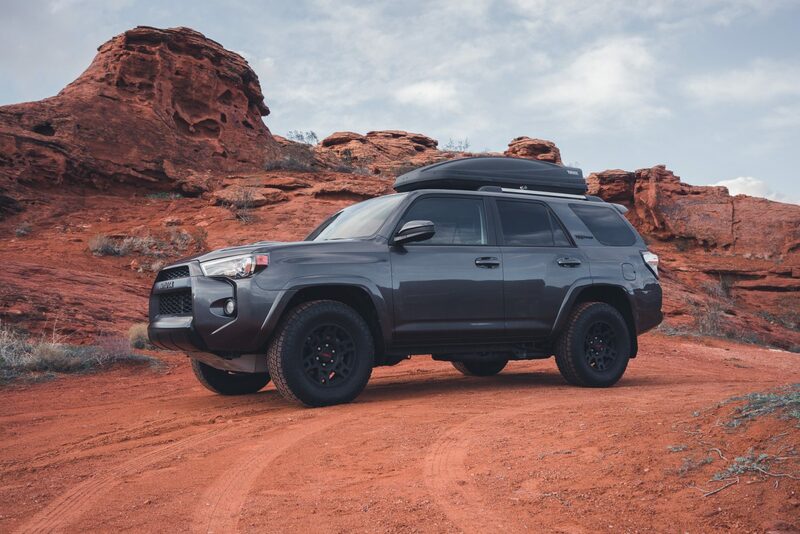 Since then I’ve wanted one and hopefully in the near future I’ll actually own this beast as I’ve placed this vehicle towards the top of my wish list as it is a great all-around everyday adventuremobile.